A Dutch court has ruled that a subsidiary of international oil giant Royal Dutch Shell should be held responsible for a pipeline leak poisoning farmland in Nigeria, as it had failed to take adequate measures to prevent sabotage. 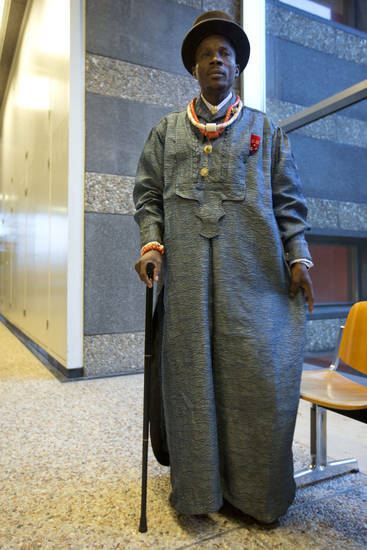 In its ruling Wednesday the Hague Civil Court rejected most of the case brought by Nigerian farmers and environmental pressure group Friends of the Earth against Shell, saying pipeline leaks were caused by saboteurs, not Shell negligence. However, in one case, the judges ordered a subsidiary, Shell Nigeria, to compensate a farmer for breach of duty of care by making it too easy for saboteurs to open an oil well head that leaked on to his land. It was believed to be the first time a Dutch court has held a multinational's foreign subsidiary liable for environmental damage and ordered it to pay damages. Pressure groups welcomed the judges' decision, saying the ruling opens the door for similar pollution cases against multinationals. Shell hailed the judgment as a victory. "We are very pleased by the ruling of the court today," said Allard Castelain of Shell. "It's clear that both the parent company, Royal Dutch Shell, as well as the local venture ... has been proven right." The Dutch arm of Friends of the Earth, which represented the Nigerian farmers, welcomed the compensation order for one village, but said it was "stunned" by its defeats in other villages. The group said the ruling could have implications beyond Nigeria's oil fields. "The verdict also offers hope to other victims of environmental pollution caused by multinationals," said Geert Ritsema of Friends of the Earth. The group has always maintained that much of the damage in the Niger Delta can be traced to what it calls poor maintenance of Shell's infrastructure, rather than sabotage, an argument the court rejected. Lawyers representing another Nigerian community, Bodo, in a legal battle with Shell in British courts cautiously welcomed the Dutch ruling. "Over many years Shell has denied any responsibility for these types of spills resulting from 'bunkering' or sabotage," lawyer Martyn Day said in a statement. He called the Dutch court's ruling a major step forward "as it makes Shell aware in no uncertain terms that they have a responsibility to ensure that all steps are taken to ensure the illegal sabotage does not occur." The level of damages in the Dutch case will be established at a later hearing, but that could be held up as Friends of the Earth said it plans to appeal. Only one of the Nigerian plaintiffs, Eric Barizaadooh, was in court Wednesday and his claim was rejected by the court, but he said he was happy for the village that won compensation. "For my colleagues who succeeded, that is victory," Barizaadooh said outside court. "Shell is brought to book. I believe this is a revolutionary case." Shell's local subsidiary is the top foreign oil producer in the Niger Delta, an oil-rich region of mangroves and swamps about the size of Portugal. Its production forms the backbone of crude production in Nigeria, a top supplier to the gasoline-thirsty U.S. Shell, which discovered and started the country's oil well in the late 1950s, has been heavily criticized by activists and local communities over oil spills and close ties to government security forces. Some Shell pipelines that crisscross the delta are decades old and can fail, causing massive pollution. The company has begun an effort to improve its standing with local communities in the last decade by building clinics, roads and even natural gas power plants. It blames most spills now on thieves who tap into crude oil pipelines to steal oil. "The complexity lies in the fact that the theft and the sabotage is part of an organized crime ... that siphons away a billion dollars a month" from Nigeria, Castelain said. "This is organized crime," he added. In London, the company's share price closed down 0.1 percent to 23.62 pounds. Nigerian farmers took their battle to make Shell clean up oil damage that destroyed their land to a Dutch court Thursday in a case that could set a precedent for global environmental responsibility. The four Nigerian farmers, backed by lobby group Friends of the Earth, have brought the Anglo-Dutch oil giant into court thousands of miles (kilometres) from their homes with a civil suit that could open the door for hundreds of similar cases. 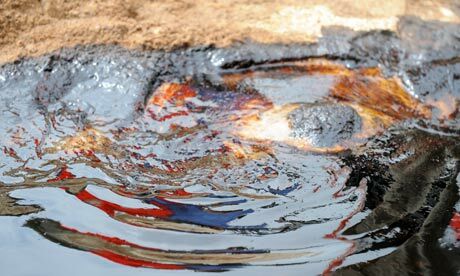 "Shell knew for a long time that the pipeline was damaged but didn't do anything: they could have stopped the leaks," lawyer Channa Samkalden told the court, accusing Shell of having "violated its legal obligations". 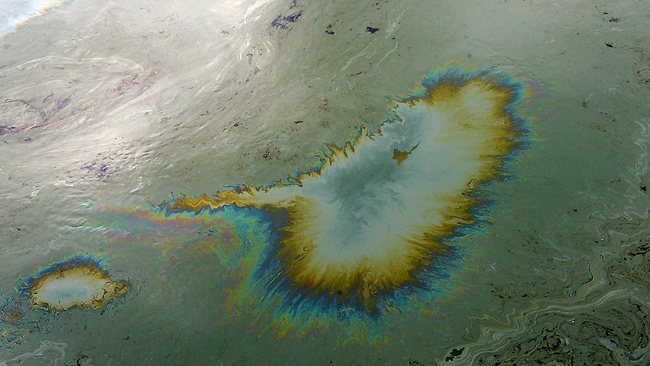 The case, the first time that a Dutch company is being sued in the Netherlands for alleged damage in another country, relates to oil pollution from 2005 and was initially filed in 2008. The farmers want Royal Dutch Shell to clean up the mess, repair and maintain defective pipelines to prevent further damage and pay out compensation. "I'm here because of the oil leakage that happened in my community in the Shell facilities and destroyed my 47 fish ponds"," Friday Alfred Akpan, from the village of Ikot Ada Udo, told AFP before heading into court. "We believe that the claims are unsubstantiated," Allard Castelein, Shell's Vice President Environment, told AFP at the court. 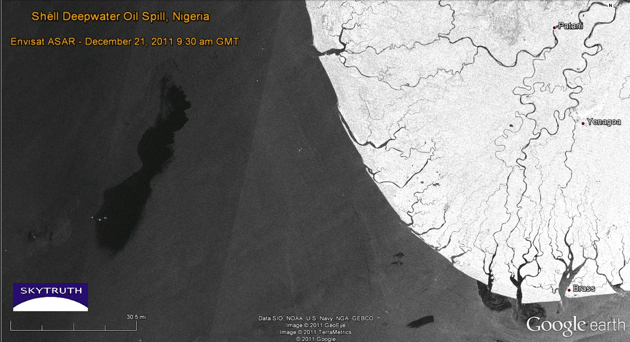 Friends of the Earth however said the scale of Nigeria's oil pollution was twice that of the five million barrels dumped in the Gulf of Mexico after the explosion on BP's Deepwater Horizon rig in 2010, in the biggest ever marine spill. Shell disputes the Nigerian figure and puts it much lower. "If they win the case then it will be an important step that multinationals can more easily be made answerable for the damage they do in developing countries," Verschuuren told AFP. Judges said they hoped to hand down a ruling next January 30. (Reuters) - The U.S. Supreme Court agreed on Monday to decide if companies can be held liable in the United States for international human rights law violations, a case about allegations that Royal Dutch Shell Plc helped Nigeria violently suppress oil exploration protests in the 1990s. The justices said they would hear an appeal by a group of Nigerians who argue they should be allowed to proceed with their lawsuit accusing the oil company of aiding the Nigerian government in human rights violations between 1992 and 1995. The plaintiffs, families of seven Nigerians who were executed by a former military government for protesting Shell's exploration and development, sought to hold the company liable under a 1789 U.S. law called the Alien Tort Statute. A U.S. appeals court in New York dismissed the lawsuit on the grounds that corporations cannot be held liable in this country for violations of international human rights law. Attorneys for the plaintiffs appealed to the Supreme Court, arguing that review was necessary because appeals courts around the nation have issued conflicting rulings on the issue of corporate liability under the more than 200-year-old law. The Supreme Court is expected to hear arguments in the Shell case early next year, with a decision likely by June. Attorneys for the plaintiffs said the case raised a host of issues of national and international importance. The Alien Tort Statute states that U.S. courts shall have jurisdiction over any civil lawsuit "by an alien for a tort only, committed in violation of the law of nations or a treaty of the United States." "For the victims of human rights violations, such cases often provide the only opportunity to obtain any remedy for their suffering and to deter future unlawful conduct," attorney Paul Hoffman said in the appeal. He said the ruling created blanket immunity for companies engaged or complicit in universally condemned human rights violations, including torture and executions. In the Shell case, the lawsuit accused the company of violations related to the 1995 hangings of the activist Ken Saro-Wiwa and eight other protesters by Nigeria's then-military government. Shell has denied the allegations that it was involved in human rights abuses in Nigeria. Shell's attorney, Rowan Wilson, told the Supreme Court that the appeals court had been correct in dismissing the lawsuit and that further review of the case was unwarranted. The Alien Tort Statute allows foreigners to sue in U.S. courts over international law violations. It has been increasingly used in the last 20 years by plaintiffs to sue corporations for alleged involvement in human rights abuses overseas. There have been a number of recent U.S. appeals court rulings on the issue. In one case, Indonesia villagers accused Exxon Mobil Corp's security forces of murder, torture and other abuses between 1999 and 2001 while in another case Firestone tire company was accused of using child labour in Liberia. Many of the lawsuits over the past 20 years have been unsuccessful, though there have been a handful of settlements, attorneys involved in the Shell case said. The Supreme Court also agreed to hear another case that raised a similar issue. The court will consider whether the Torture Victim Protection Act applied only to persons or also applied to the Palestine Liberation Organization. The case involved a lawsuit against the PLO by the widow and sons of a U.S. citizen, Azzam Rahim, a Palestinian born and raised in the West Bank, who allegedly was tortured and killed in 1995 at a prison in Jericho. The PLO has denied the allegations. The Supreme Court cases are Esther Kiobel v. Royal Dutch Petroleum Co, No. 10-1491, and Asid Mohamad v. Jibril Rajoub, No 11-88.